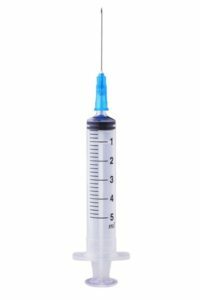 All You Need to know about Syringe injuries and Needle Stick Injuries personal injury claims & clinical negligence claims. In a nutshell, a Personal Injury claim can be made, no matter whether there was intent, negligence or whether it was accidental. Needle stick Injury claims, can have dire consequences for the victim as well as the applier. Here at Medical Negligence Assist we pride ourselves on having the best clinical and medical solicitors, who are trained and have a strong background in medical law, to cater to your Personal Injury needs. There are processes and strategies in place to avoid and prevent needle stick injuries, however they do still occur, and can prove to have nasty side effects and ramifications. Basically, a needle stick injury is when the skin receives a puncture from a hypodermic needle, either by accident or on purpose. When it comes to needle stick injuries, besides the inflicted skin reacting badly, such as swelling up, being tender and bleeding; the fact that there is a possibility of infected blood entering the body can be most worrying of all, which can transmit many diseases, and the after-effects can be devastating. What can Lead to Needle Stick Injuries and who is at risk? Most times it is negligence in some form or another that may lead to a patient or person receiving a needle stick injury, this does not always mean it is on purpose it can be an accident however accidents such as these should not be taken place in any part of the health industry. When someone neglects to follow procedures laid out for this very avoidance, the results can be catastrophic, to say the least. Oddly enough, it is the healthcare workers, as in nurses, doctors, interns and others administrating the procedure, that are at the greatest risk. Most of the accidents happen in controlled environments, such as Accident and Emergency departments (A&E or ER), doctor’s rooms and operating theatres, as well as any high-pressure medical environment. The stress at an emergency type situation can lead the workers to forget or neglect proper protocol, ending up with either puncturing themselves by accident with a needle or their patients. Other areas where needle stick injuries can occur would be at dentists’ rooms, prisons or mental departments; where the officials need to calm down patients with a quick injection, police situations, waste disposal venues, whereby the workers come across discarded and used needles or apparatus. The general public are also at risk, but not on such a scale as the actual medical officials, whereby drug addicts may leave their used needles in public bins or other places, such as public toilets, parking lots and alleyways. Can the Risks be Reduced and How? There are a number of ways in which the risks of needle stick injuries can be reduced. And most times it is as simple as following the set out procedures put in place. However, when it comes to a happenstance where an infected needle or piece of medical equipment is found by the public, there are rules one can follow too. Always call the local council to have it removed instantly as it can be a major danger to anyone in society, follow their procedures on how to handle the situation. it is strongly advised not to approach or touch the needle unless it proposes an immediate threat to society especially children. Even placing a covering over while calling the local council can help. What Illnesses and Injuries can emerge from a Needle Stick Puncture Wound? It is very important to NOT leave a needle stick injury unattended and seek medical professional treatment ASAP. You may find that the wound will just be a wound, and will heal on its own, however it is important to have a series blood tests in order to complete the process of elimination to ensure you haven’t contracted certain diseases. This testing will run over a period of a minimum of 3 months and a maximum of 12 months. A big concern is if there are any infections that may affect your immune system, and these need to be treated straight away and on going. 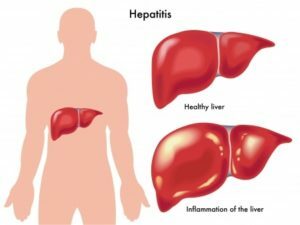 Used needles may contain bodily fluids, there is a risks of contracting any form of Hepatitis is possible as well as Tetanus, and of course HIV. As for the physiological effects, they can be the worse for some. Knowing that some or other disease or virus may have infected you can play havoc on the mind. You may need to consult a physiologist whilst you are undergoing the tests, or at least speak to someone who will understand and be there for you when you need them. What Kind of Compensation Can Expect to Claim for from a Needle Stick Injury? A very valid question but what will be concerning most people are the dangers of the situation. There are many factors to take into account as to how to calculate your actual compensation or payout. But most depend on the results of your tests following the needle stick injury. Some infections and diseases that needle stick injury’s can cause can be life threatening and others are not. By and large the likelihood is slim if the injury may take place in a medical environment but nevertheless the chance is still there. In addition, it is not only medication and treatment that needs to be taken into account with a Personal Injury claim, the physiological effects and possible therapy required, and the lifestyle changes that may be needed, are also be calculated in. The fees taken by the solicitor once the claim has been won will be laid out to you upfront. Be sure to make sure you understand the fee layout and our No Win – No Fee Agreement. The compensation is governed directly by the 13th Edition Judicial College Guidelines, so be sure you understand this too. It may be possible to have an estimated compensation calculation amount using a compensation calculator, one of our solicitors will help you with that. It is very difficult to give a precise estimation at the beginning of any personal injury compensation claim as there are many factors that need to be included. Once the case is underway, you will be examined by a medical expert, all results will be back and if any, a prognosis is will be given then a more precise amount can be given. What were the results of the needle stick injury following? Did you experience physiological issues? Where exactly did the needle stick injury puncture your skin? Was the injury minor, moderate or severe? Was any internal organs was affected? Did you have loss of earnings due to the injury? How long did you have to take off work? What were your costs of treatment following? Was there a lifestyle change and what did this set you back financially? As you can see, there are many aspects to consider before we can give you a precise figure that you may be liable to receive. These questions will assist you in starting to gather all the information we may need to ensure we do the best for your Personal Injury Needlestick Claim. No Win – No Fee process entails is that should we not win the case, you are not obligated to pay us a fee. All procedures and processes are outlined right up front for you and should the case be successful, the fee will be taken at the time of compensation. This is called a Conditional Fee Agreement or CFA, and means there are no hidden costs, as you are dealing with a no win no fee medical negligence solicitors. It is vital that you keep all records pertaining to the possible claim. This includes from the time that you booked your appointment for the procedure you underwent, to the details of the hospital and the healthcare official that caused the needle stick injury. Once you have all these details, you need to bring all relevant information to us. Please include any medical tests that where run following the needle stick injury, as well as all results thereof. As mentioned, the testing process can take between 3 and 12 months to conclude. This allows for all possibilities to be eliminated, as we need to know what the after affects are of the needle stick injury. To put together a claim, and come up with a compensation amount, we need all and every piece of information and data. Please remember this is a process and you cannot expect an overnight result or win. With that said, we do our utmost to ensure as speedy a journey with us as possible. What is your Next Step with Us? Once you have all that data intact, please give our offices a call or contact us through Contact Form on our website, explain that you need to claim for a Personal Injury and you will be routed to the appropriate solicitor in our firm. Know that your hand will be held from the moment you make contact with our offices, to the moment the claim is either settled or rejected. Our law firm will be there every step of the way, making sure you understand exactly where we are in the CFA process, at all times. Should the claim be settled, we will still make contact with you afterwards to ensure all matters were handled and finalised correctly. Should the claim be rejected, we will either contest the rejection, should we feel it is viable, or we will explain the reason behind the rejection. Claim Online – Claim Online. Thank you for taking the time to read all about Personal Injury claims, in particular Needle Stick Injury Claims and, how our law firm will assist you in this regard. We hope that this information was sufficiently explanatory and has helped you in making a decision as to whether you will be placing a Personal Injury claim with us or not.